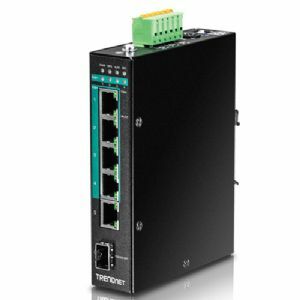 Maximize your system�s network connection with the TRENDnet Hardened Industrial Gigabit PoE+ Layer 2 Switch. 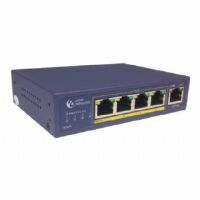 It enables you to connect to Gigabit Ethernet Network Switch with up to 10/100/1000Mbps speed. Offering you a total of 6-Port including 4x Gigabit PoE+, 1x Gigabit Port, 1x SFP Slot which produces a 12Gbps switching capacity to support edge network installations. The 120 Watt PoE+ power budget ensures fast, efficient network connectivity. It comes included with DIN-Rail Mount that makes installation simple. Plus, it sends larger packets, or Jumbo Frames up to 10KB, for increased performance. It has dual redundant power inputs and alarm relay output. So, what are you waiting for? 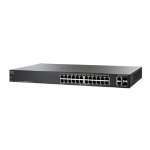 Place an order for the TRENDnet Hardened Industrial Gigabit PoE+ Layer 2 Switch right away!